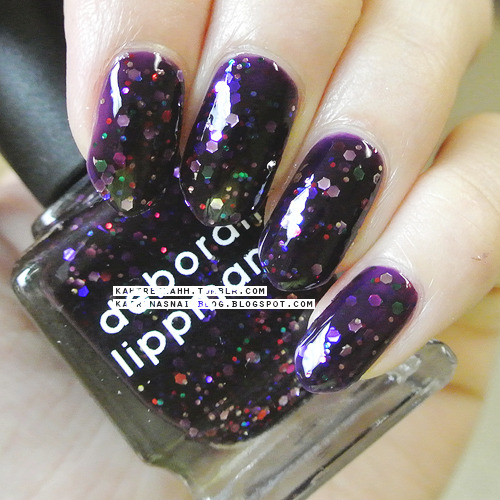 Although it's nothing too special, I just wanted to share my first Deborah Lippmann polish, Let's Go Crazy. This is 3 coats, photo taken with flash. 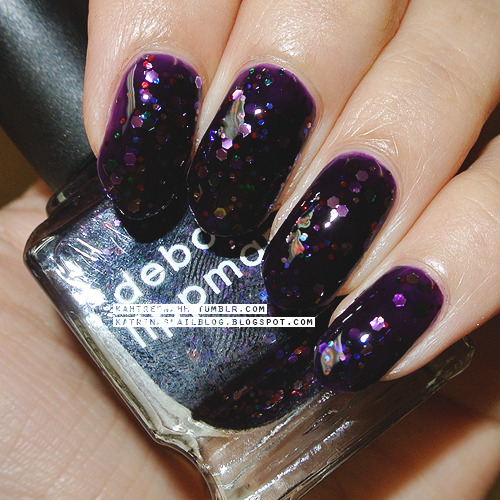 Deep eggplant, jelly-ish base with multi-colored glitters. This is gorgeous! Thanks so much for sharing! beautybrands.com has deborah lippmann on sale now for 50% off! !